Can I drop off my tapes/films/pictures at your NJ location? Yes. Please call to setup an appointment. Are all transfers done at your NJ location? Yes. We do all transfers on site. Do you offer pickup for NYC residents? Yes. 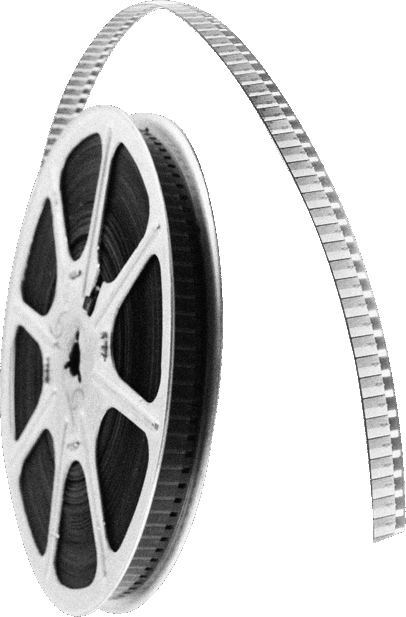 For our Transfer 8mm film to DVD service, we will meet you in Manhattan to pickup your films and review your transfer project (A travel reimbursement charge will be added to your order). For other types of services, please contact us to determine if Manhattan pickup would be beneficial. Absolutely. We can customize your video to suit your needs (Custom editing fees may apply). How much video can you fit on a DVD? A standard DVD can hold ~2 hours of video, without significant quality loss. Can I put more than one tape on a DVD? If the tapes are less than 2 hours in length, we can put multiple tapes on a DVD ($5 for each additional tape). What if I have tapes that are more than 2 hours in length? We will need to put your tapes on multiple DVDs ($19.99/DVD). What is the difference between Standard and Premium Tape Transfers? Premium tape transfers provide 15 minutes of custom editing (usually sufficient time to go through your video 1X) to remove unwanted gaps in the video, and to improve the image quality of the video via color correction. Since tapes fade over time, color correction can greatly improve the video to the quality that existed when it was new. For premium tape transfers, will you remove all gaps? We will attempt to find all gaps, but won’t guarantee that we will locate ever gap. We can spend more time searching (custom editing rates will apply), if you wish. What if I want to make changes to my finished DVD? You can make changes to your DVD for 30 days after pickup of your order (subject to editing and DVD duplication costs). After 30 days, we delete your video files and are unable to make changes to your DVD. However, we can provide additional copies of your DVD after 30 days. What is the cost of transferring 8mm film to DVD? The cost is based upon the amount of film. We charge $0.18 per foot for standard definition film transfer ($9.00 for a 3” reel-50 ft. reel) and $0.25 per foot for high definition film transfer ($12.50 for a 3” reel-50 ft. reel). How do I know how much film that I have? Estimate the number of feet of film using the chart below. When you place your order, determine the number of reels and the size of each reel, and place your order based upon this information. We will make an actual determination of the number of feet of film based up the length of the movie. We will provide a refund if you pay more than the actual footage. It depends upon the size of your project, and the number of other projects in front of your project. We can provide a better estimate when you place your order. Can I ship my project to your NJ location? Absolutely. Please print and send the Order Form with your shipment. Please let us know that you are sending us an order and email the tracking number so that we can monitor the progress of the shipment. How do I Pay if I am shipping my order to you? You can pay online by Paypal or credit card if you are using out electronic submission. You can pay by mailing a check with your order or by credit card over the phone. If you are unsure of the final cost, you can send us the order, and we will determine the total cost, so that you can pay via credit card or check.